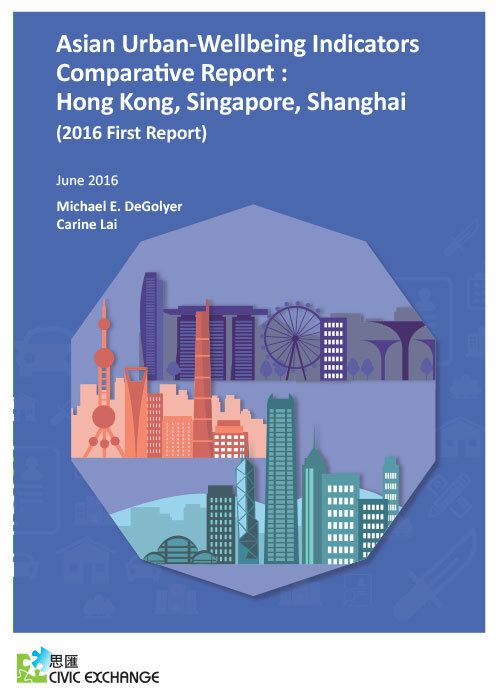 In October 2016, Civic Exchange published a report on urban-wellbeing indicators in Hong Kong, Singapore and Shanghai. For the graphic summary of this report, please refer to this link. We live in an age of cities. During the past decade, for the first time in human existence, more human beings dwell in urban than rural areas. In Asia, urbanisation is happening rapidly, with the United Nations projecting that the urbanised population will rise from 48 per cent urban in 2014 to 65 per cent urban in 2050. This means that the governance of cities will affect the lives and wellbeing of billions more people in the coming decades. Policy experts have also become increasingly interested in more holistic metrics of societal progress “beyond Gross Domestic Product (GDP)”, which was never designed to measure overall wellbeing and has well-known limitations. For example, it does not include non-market contributions to society such as parenting and volunteering, and makes no effort to distinguish between socially productive and destructive spending. However, most available comparative data—especially subjective data—are between countries, not cities, despite the importance and distinctiveness of cities. The policy challenges of cities are different from those of rural areas. Cities have concentrated populations, accelerated socioeconomic activity, greater diversification and specialisation, and cities of similar sizes face similar challenges in urban planning, traffic management, congestion, environmental degradation, crime and inequality.4 Urban populations are more cosmopolitan in nature than rural residents, and their support or opposition for different policies is affected by different factors than those for their rural counterparts. In 2012, Civic Exchange launched the project that would become the Asian Urban-Wellbeing Indicators. 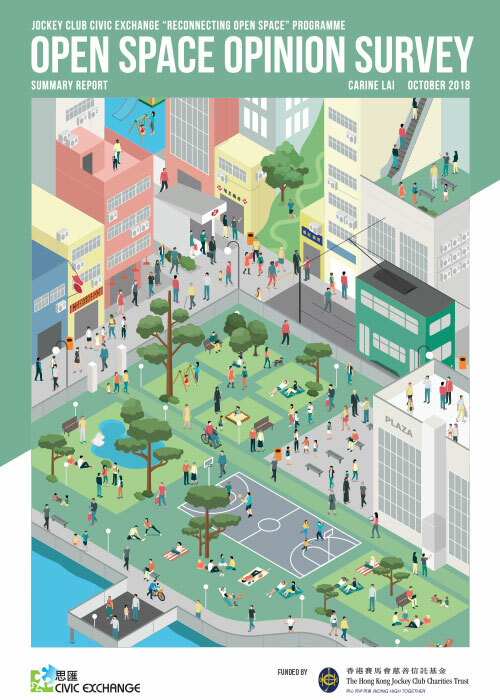 The Asian Urban-Wellbeing Indicators is a public opinion survey designed to measure public attitudes towards urban life. It measures how much people care about and are satisfied with 10 different policy domains—housing, medical care, education, work and business opportunities, transportation and utilities, environmental protection, community and belonging, public safety and crime control, recreation and personal time, and quality of government. The survey was developed over 3 years in collaboration with local partners from five diverse Asian cities—Chengdu, Delhi, Hong Kong, Manila and Penang—in order to ensure that the resulting instrument could be used in a broad range of Asian cities. The first survey wave was conducted in August 2015 to January 2016 in three selected Asian cities, Hong Kong, Shanghai and Singapore, all major commercial ports and financial centres with Chinese heritage and extensive international connections. It is hoped that the findings will provide insights into city dwellers’ attitudes and priorities in order to identify areas for further research and to provoke discussions on how urban policymakers can better meet people’s needs. As part of Civic Exchange’s commitment to promoting public policy research and civic engagement, we will make the Asian Urban-Wellbeing Indicators database available to the public as long as research findings derived from the data are shared with Civic Exchange. To make a data request enquiry, please download the form below and return it to Carine Lai ([email protected]).